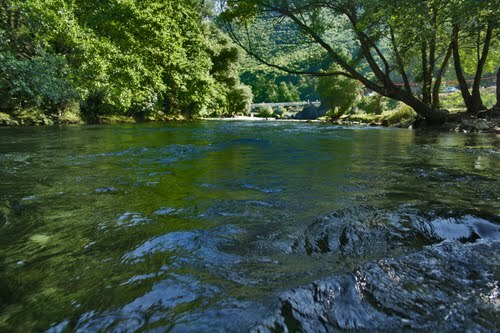 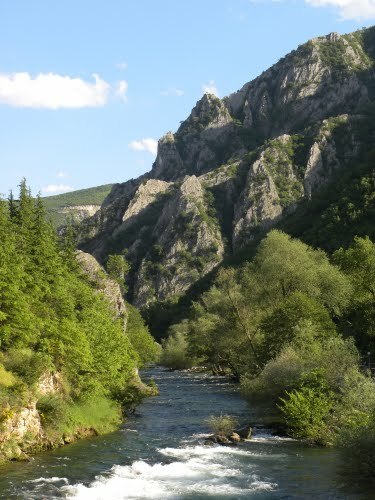 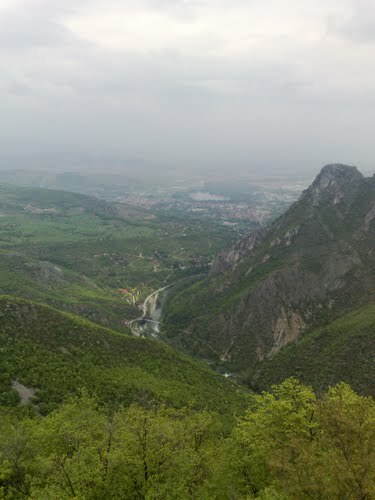 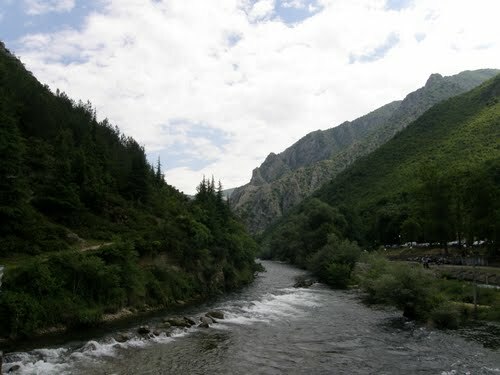 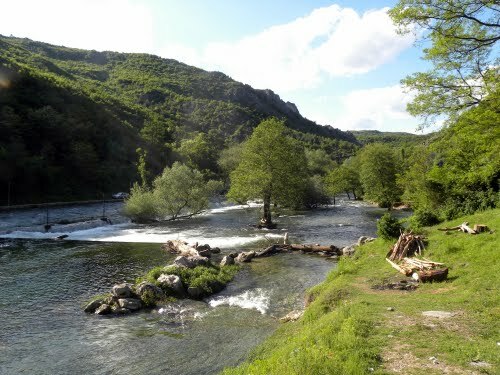 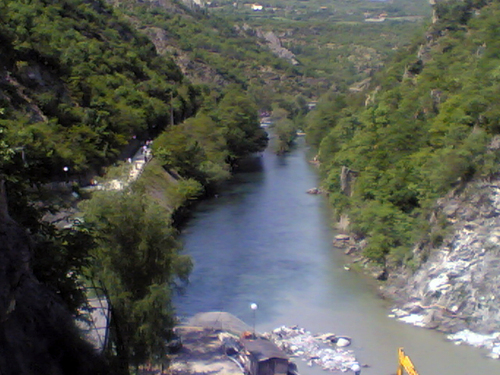 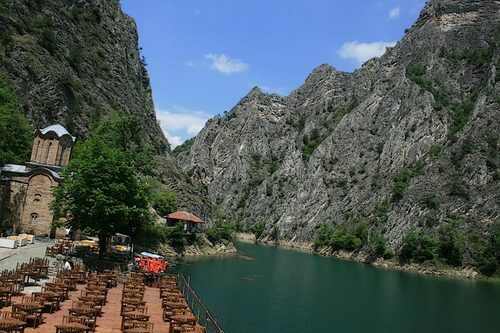 The Matka canyon is located in the lower course of river Treska, 15km southwest of Skopje. 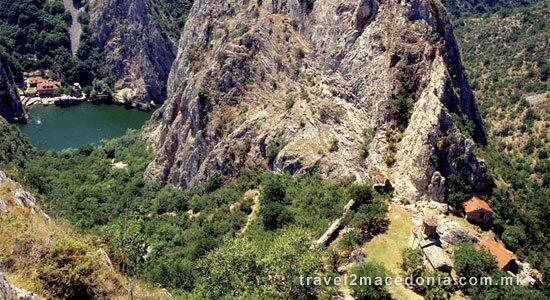 With it's geological, geomorphologic and hydrological characteristics, and the flora and fauna, it is an exceptional object of nature. 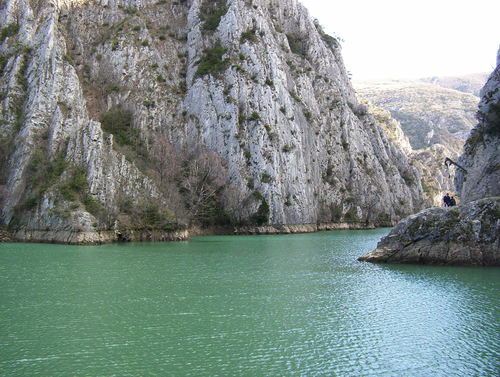 The main phenomenon of this natural treasure is the canyon, a distinguished geomorphologic entity with well preserved natural and geographic characteristics in which rare and endemic species find their escape. 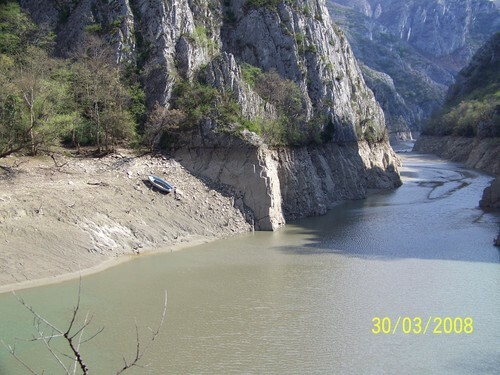 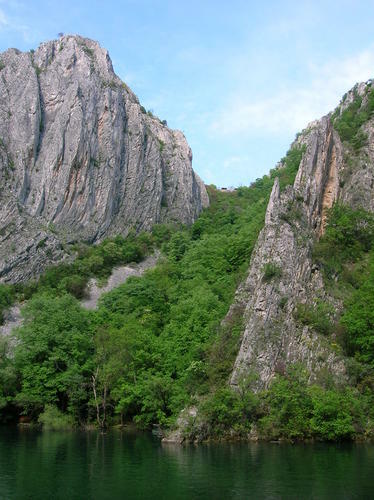 This outstanding work of nature, with sides 1000m high and step notches of over 250m, was created by vertical erosions of the Treska river during the long geological history. 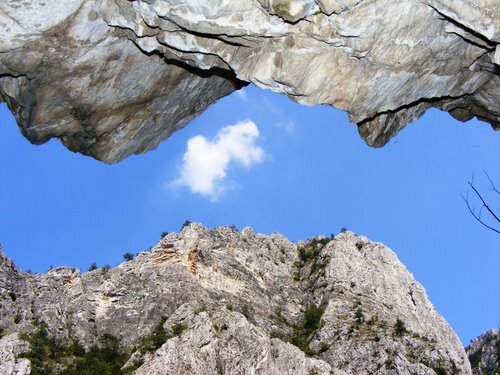 The caves and abysses as special categories of late geographic forms are mainly concentrated on the right side of the canyon, under the area Visoki Rid (High Hill) on 885m attitude. 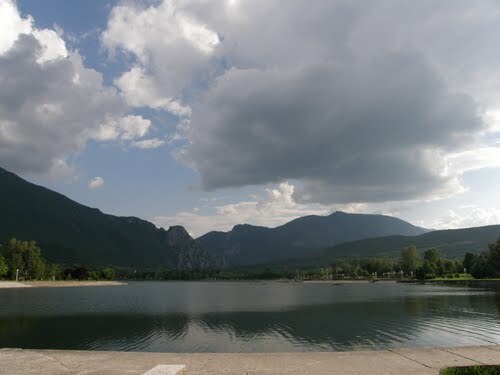 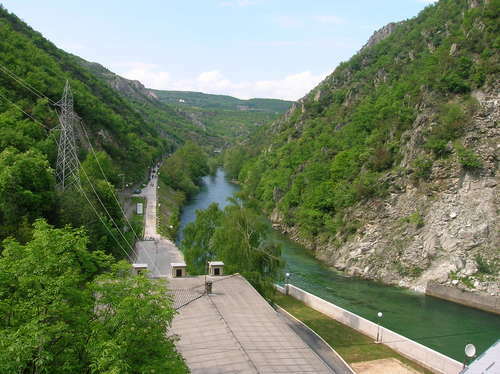 There are about ten of them, but most known are: Vrelo, Krstalno and Ubava. 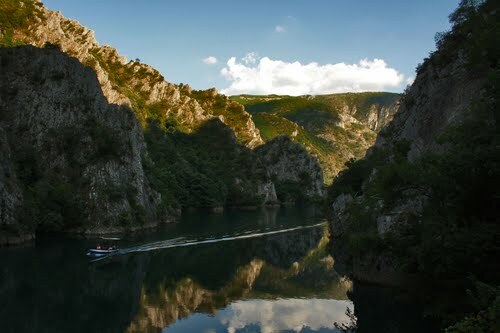 A part its natural values, the Matka canyon with its immediate surroundings, is valuable treasury of our cultural heritage, presenting to us antiquities from the different time periods. 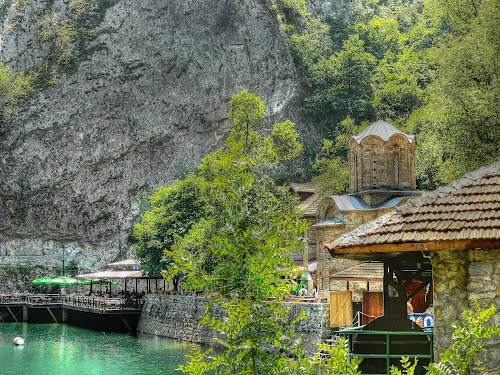 Remains of many ancient and medieval settlements and fortresses and a great number of well preserved medieval churches and monasteries are discovered. 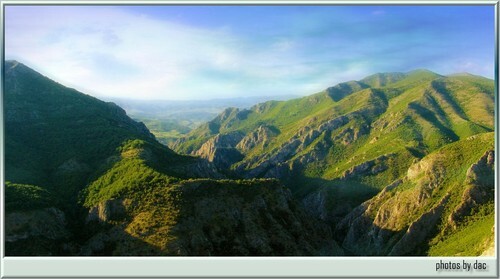 Many of this discoveries are of precious value. 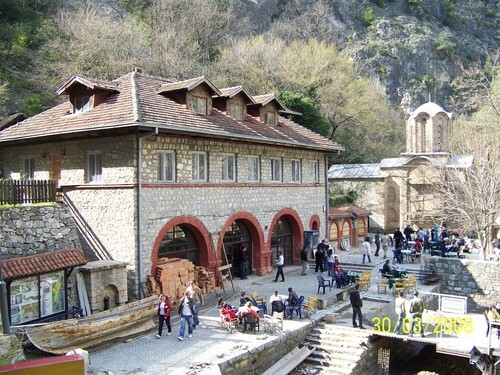 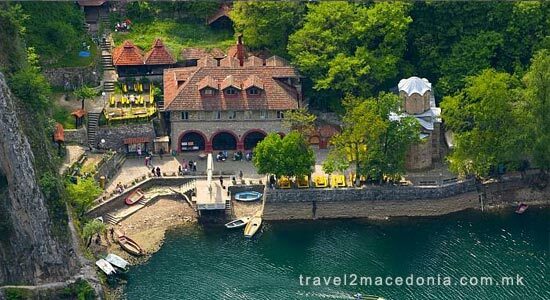 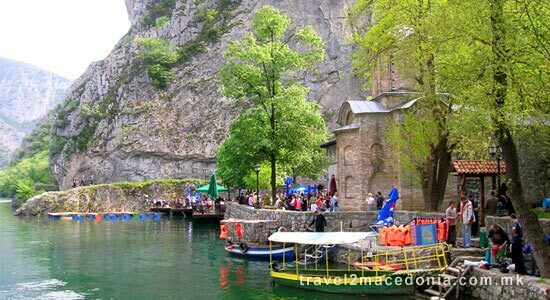 Most of them are: the monastery of St. Andrea from the 14th century, the church St. Nikola Šiševski from the 13th-14th century and the medieval town of Matka with the church St. Nedela from the 14th century and St. Bogorodica from the 14th century. 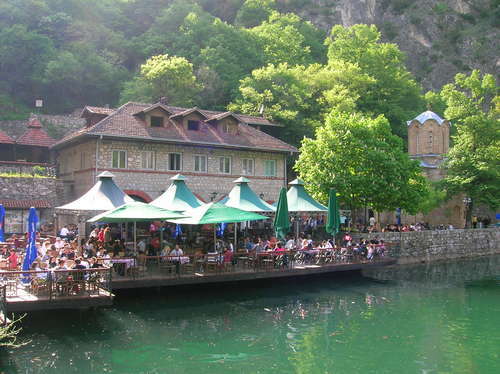 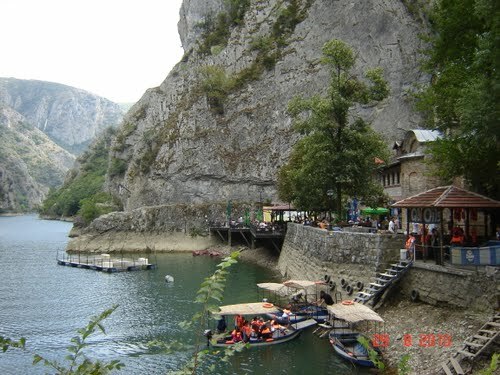 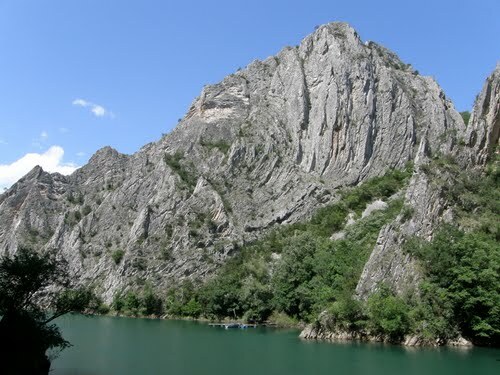 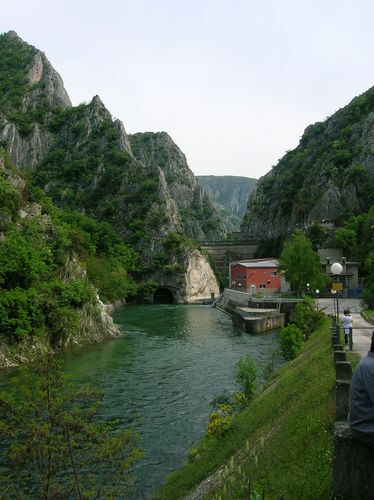 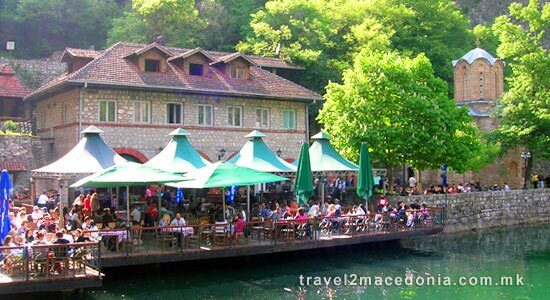 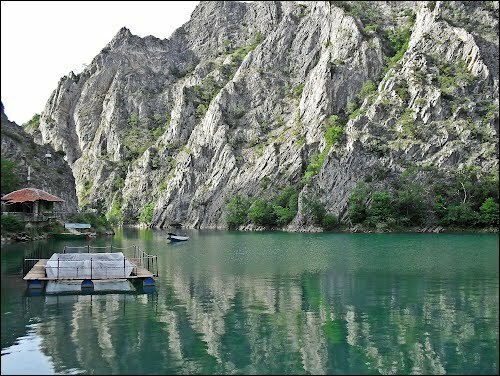 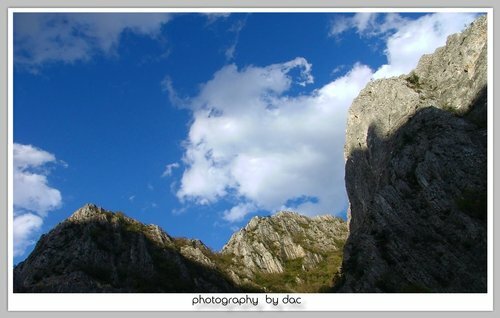 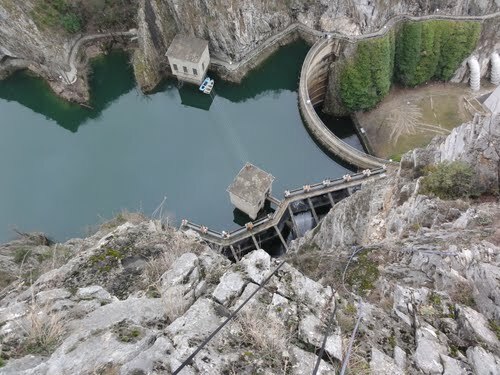 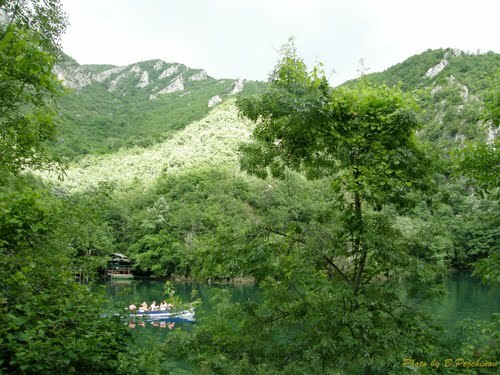 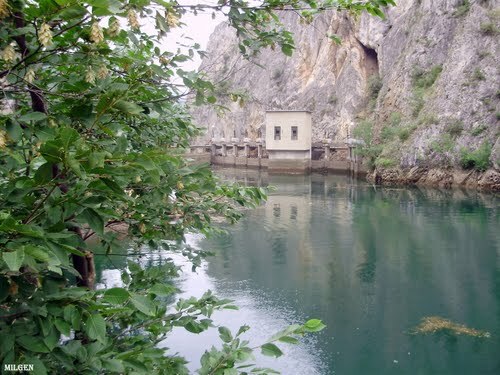 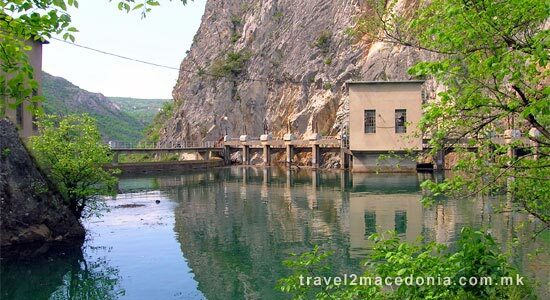 Some twenty minutes outside if Skopje you can visit the narrow Canyon of Matka, with a lake and a hydrodam. 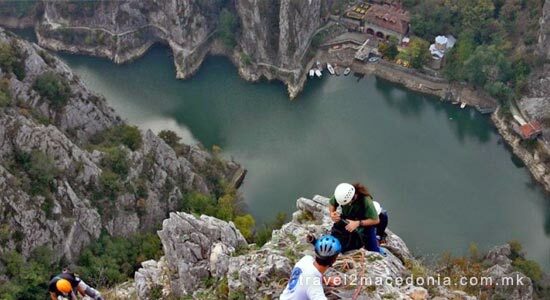 Climbers enjoy a variety of tours of varying diffculty there. 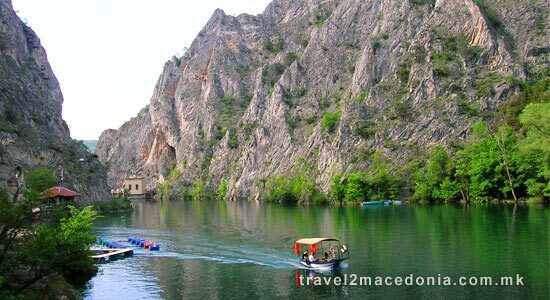 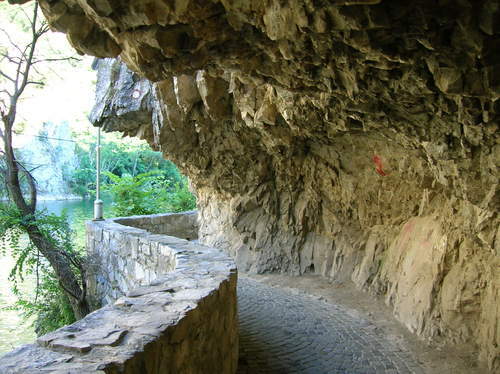 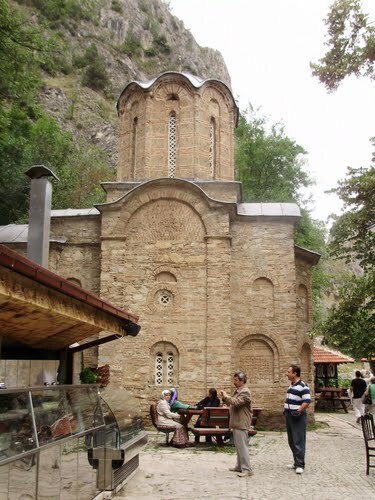 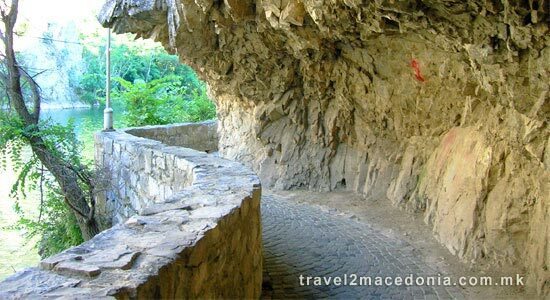 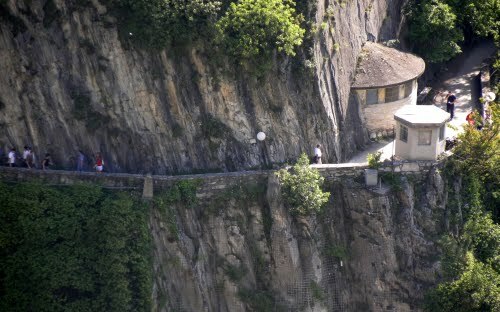 A gorge in which a rich complex of medival monasteries and remnants of a fortress remain.